[In recent years the Jewish filth in Europe have been calling on the treasonous scum who run Europe to shut up all the white people using every method possible so that "anti-semitism” can be stopped! This is like passing a law asking the sun to stop shining. Whenever the lying Jewish tricksters are around anti-semitism becomes the norm. The problem is NOT the whites, but the Jewish filth who treat whites and all races like garbage. The Jews are the liars, tricksters and thieves and then they get agitated, the spoilt brats that they are, when others realise that they’re dealing with lying garbage who should not be allowed into any civilisation. The boldness of the Jews knows no bounds. These are spoilt brats who will want everyone to shut up while they get 1001 special Jewish privileges. They, the Jewish garbage, are of course NEVER to blame! You need to learn what the Jews are actually saying. Anti-Semitism is their codeword meaning the Truth is coming out and that they are about to get the comeuppance they RICHLY DESERVE! They then want to avoid the karma which is their due! Sadly, very sadly, Jews get away with their crimes 99% of the time and they are almost NEVER punished as they should be! European Jewish leaders, backed by a host of former EU heads of state and government, are to call for pan-European legislation outlawing antisemitism amid a sense of siege and emergency feeding talk of a mass exodus of Europe’s oldest ethnic minority. A panel of four prestigious international experts on constitutional law backed by the European Council on Tolerance and Reconciliation (ECTR) have spent three years consulting widely and drafting a 12-page document on “tolerance”. They are lobbying to have it converted into law in the 28 countries of the EU. Amid acute European angst over multiculturalism, fundamentalist violence perpetrated on alleged religious grounds and the response of the state, the call for uniform rules across Europe is to be initiated this week in Prague at events commemorating the Holocaust and the 70th anniversary of the liberation of Auschwitz. The panel of experts drafting the proposal includes a retired Italian supreme court judge, a former King’s College professor, and the former head of Germany’s prestigious Max Planck Institute. The panel was chaired by Yoram Dinstein, a war crimes expert, professor and former president of Tel Aviv university. The document, A European Framework National Statute for the Promotion of Tolerance, according to the drafters, seeks to define, codify, and balance rights, liberties and security at a time when governments are scrambling over how to cope. Education in tolerance should be mandatory from primary school to university, and for the military and the police, while public broadcasting must “devote a prescribed percentage of their programmes to promoting a climate of tolerance”. The drafters are currently touring the parliaments of Europe trying to drum up support for a consensus that would get many, if not all, of the proposals turned into law across 28 countries. Given the national disparities on gay rights, libel laws, holocaust denial and more, the proposals represent a legal minefield. At a European parliament committee hearing, he said, Britain’s UK Independence party (Ukip) was strongly opposed. The organisers are particularly keen to see Britain enact legislation, similar to that in Germany or Austria, criminalising Holocaust denial. “We very much regret this is not done by Britain,” he said. The yardstick, say the drafters, should be that if an international tribunal has ruled genocide has taken place, it should be accepted everywhere in Europe as criminal conduct to contest that in public. The Holocaust, the Rwanda genocide, and the mass murder of Muslims by Serbs in Srebrenica, Bosnia, in 1995 would be covered. The Turkish massacre of Armenians in 1915, for example, would not be covered. One senior EU policymaker said as far as Europe’s Jewish communities were concerned there was no need for new laws. The priority was security and protection. Kantor complained that when raising the issue of protection, national and regional Jewish leaders were encouraged to stage fundraising activities. 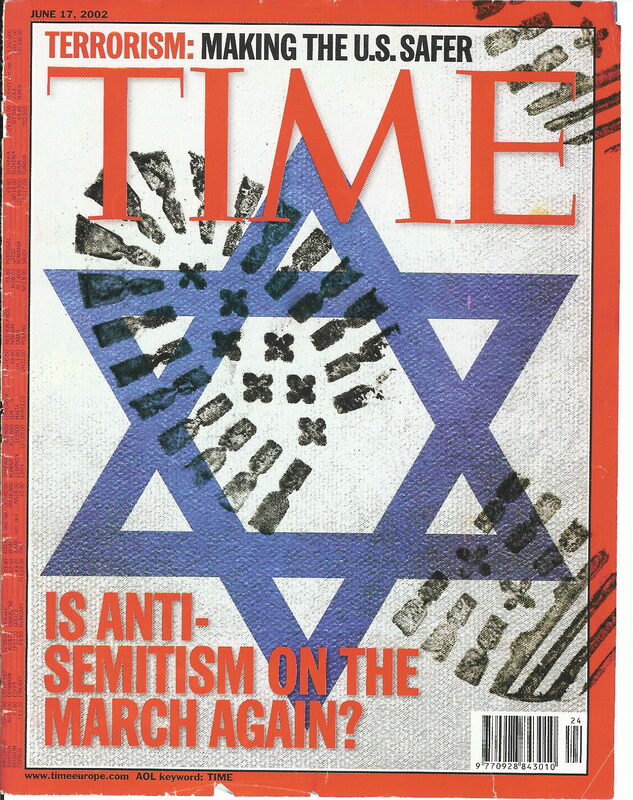 Below is an article from 2004 where the Jewish filth were asking the cuckolds who run Europe to shut the whites up! Jewish leaders have called on the European Union to act to halt the rise of anti-Semitism in Europe. “We bring a message today – and that message is a warning to Europe… anti-Semitism and prejudice have returned. The monster is here with us once again” Cobi Benatoff, the president of the European Jewish Congress warned. Religious leaders and politicians met for a one-day seminar in Brussels to address the apparent rise in anti-Jewish sentiment across Europe. During the conference, the EU was repeatedly asked to act to stem the tide of hatred as Rabbi’s and other leaders offered their testimony of mistreatment. “It is not just Jews crying wolf”, said Mr Benatoff. Last year attacks on synagogues and Jewish schools in France catapulted the issue back into the media spotlight. Later a Commission poll revealed that European citizens thought Israel the biggest threat to world peace, prompting Commission President Romano Prodi to co-organise the conference. At the conference, Mr Prodi answered the calls for action. Suggestions ranged from setting up a permanent body to discuss inter-faith issues, to the EU backing a UN security council resolution condemning anti-Semitism. “[W[We the EU]ant this Seminar to produce results and have an impact. We are not here to beat our breasts in public and then do nothing. So I have some practical proposals to make on follow-up”, said Mr Prodi. Commission official, Ricardo Levi, said that an EU working group would be set up to discuss possible policy. “This is not 1942” said the UK’s chief Rabbi, Jonathan Sacks, before adding “but seeds are being planted which will one day bear fruit of poison”. ← Very Important: Whites in S.Africa ask questions about the Suidlanders! – Secret Documents! these filthy monsters…..MUST BE DEALTH WITH NOW!!!!!!!!!!!!!!!!!!!!! Jewish scum at work: New Hampshire, 94 Percent White, Asks: How Do You Diversify a Whole State?